This is a Cartier Paris "Coussin" in 18kt yellow gold with Bamboo style case measuring 34mm x 26mm with sapphire crystal and blue cabochon stone crown. 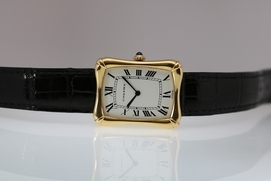 The original white dial is in excellent condition and has black Roman numerals and blue steel sword hands. 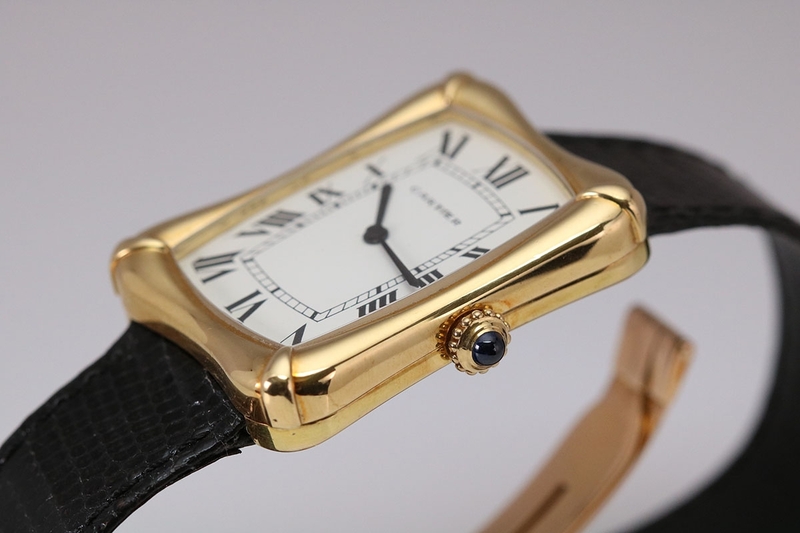 This watch is powered by a manual wind movement. 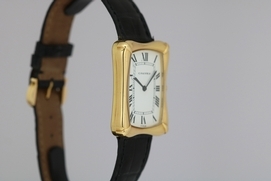 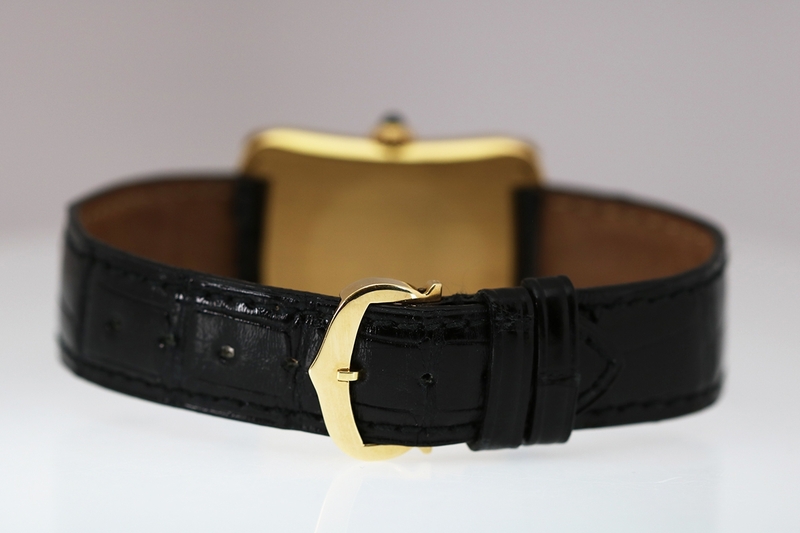 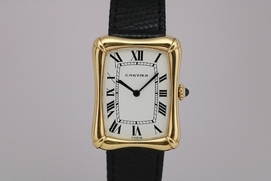 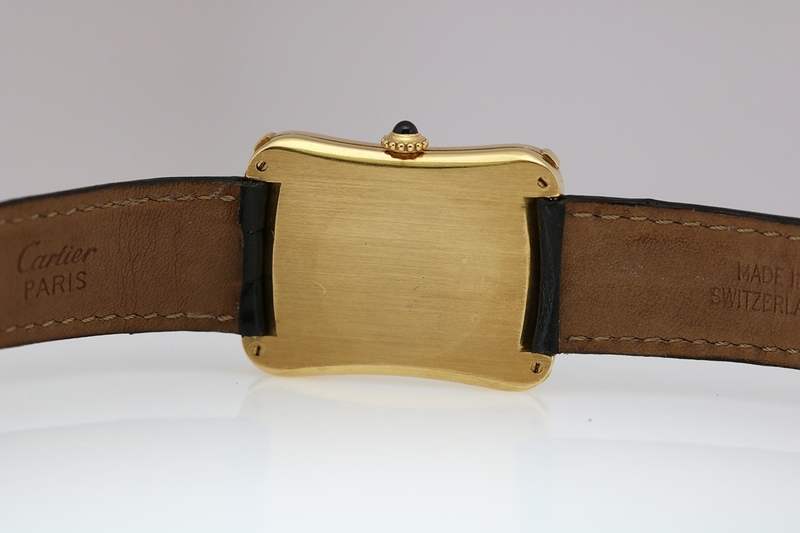 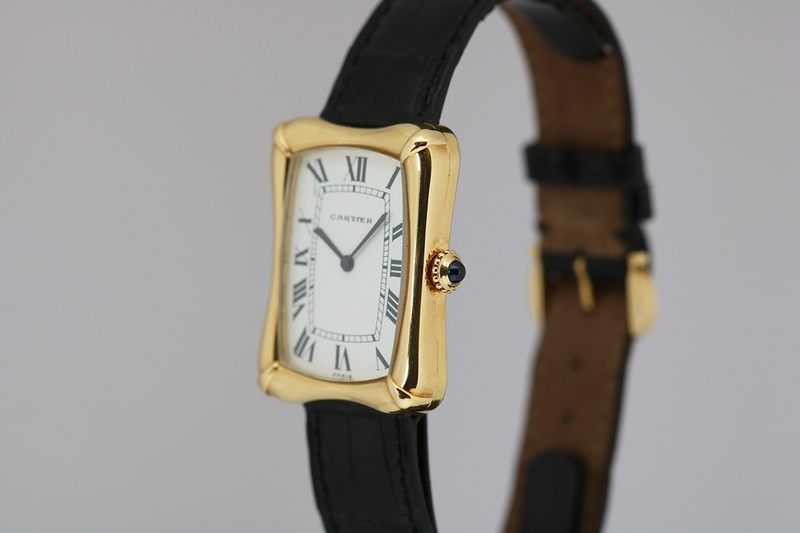 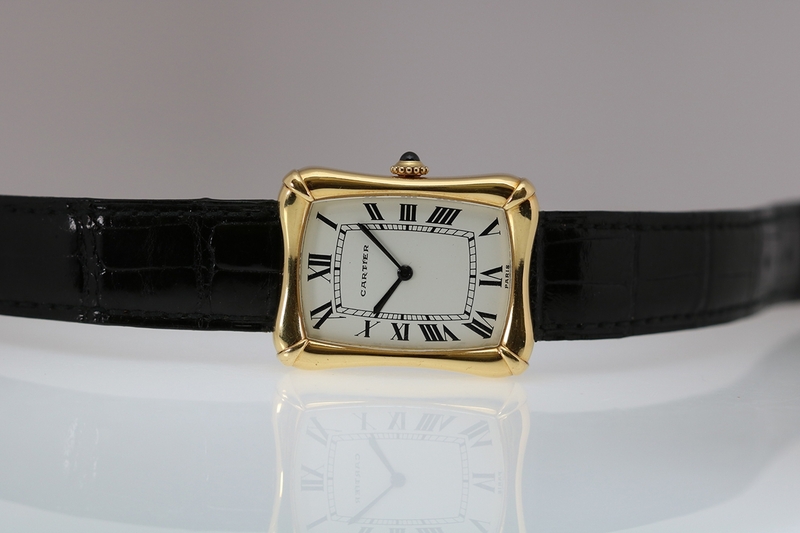 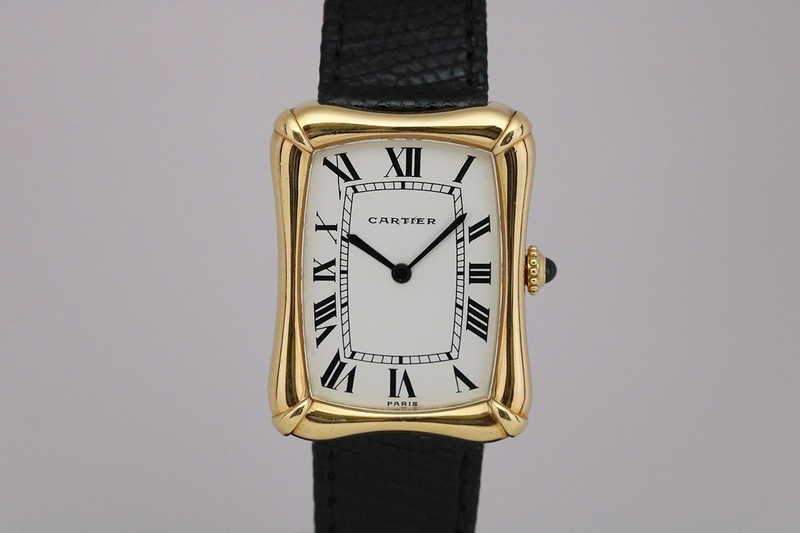 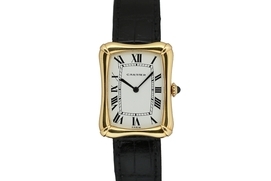 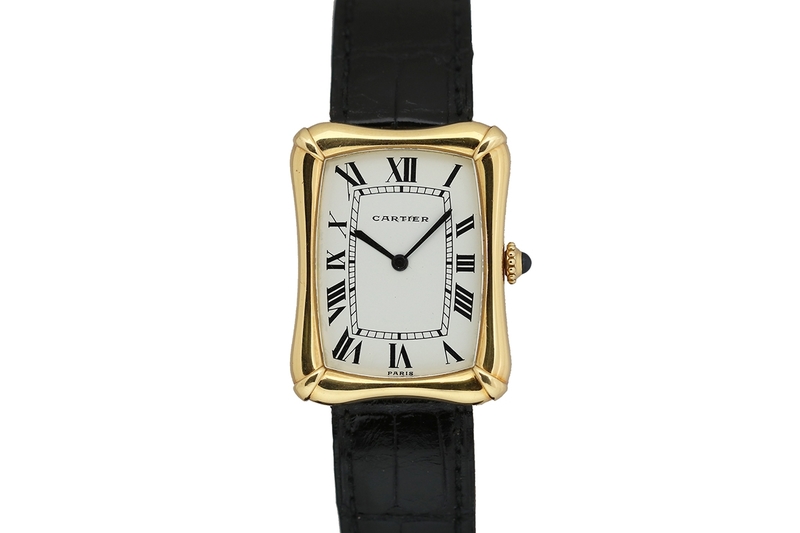 This watch comes with a Cartier 18kt deployment buckle.